Bouncing! Yes, that was me, literally and figuratively after getting back to my PT session on Thursday. Early morning, in the dark, in the mizzle and Ian had me trying new things that should get me running more midfoot, bouncing, jumping, hopping. And my ankle is okay with it. We just do a bit, not too much and move on to more bodyweight and weighted exercises, so I get a great workout and all the time I’m feeling stronger, happier. Buzzing with possibilities, reflecting back the extra enthusiasm that Ian brings today, fresh from part one of his triathlon coaching course and eager to try things out. I am a very willing test subject. My ankle, I reckon is about 85% fixed, I tell him, and revise that up another 5% by the end of the session, as I’m more confident about holding additional weight on it. And all the time I’m learning. He’s throwing out questions, I’m naming muscles, bones, movements, consolidating what I’ve learned in my studies so far. The hour goes by in a blur. The good vibes continue with a satisfying presentation at work and a really enjoyable rehearsal with the choir on Friday lunchtime. We’ve been working really hard on some tricky songs and not really feeling very confident, but we started to see how we could bring it together in this rehearsal. I still get really nervous at the thought of singing in public, as we will be in a few weeks’ time and I know I don’t always get the pitch right, but do something that’s scares you, I say. 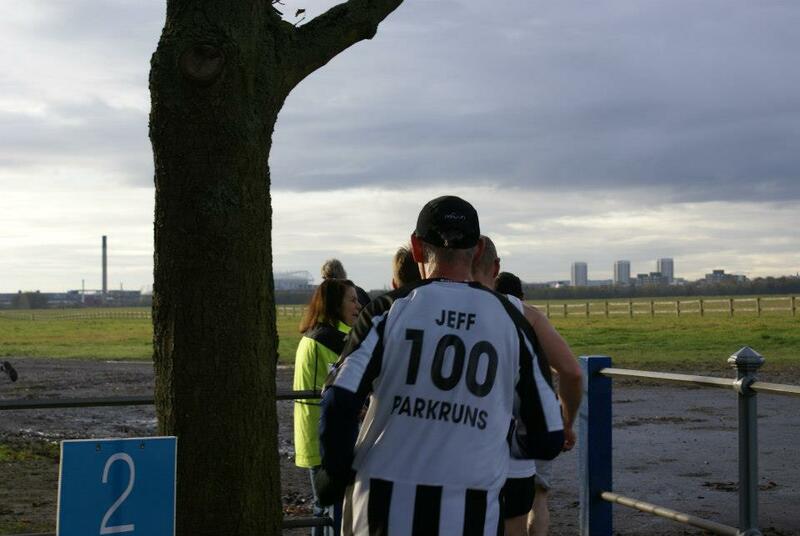 On Sunday, I went to support friends, parkrunners and everyone else running a marathon on Newcastle’s town moor. I had a couple of friends who came down from Scotland to run it, Ann and Les, who it was great to see, and there were lots of other local runners I know taking part. Penny came along and we clapped yelled and generally encouraged everyone from the bandstand. They are a hardy lot, running five laps of a muddy moor on a wintry day, but there were mainly smiles and lots of waves as we clapped and shouted well done and I passed drinks and gels to Ann and Les. Ann really is a fabulous runner and has achieved so much. She ran this race two years’ ago wearing my Garmin and was delighted to go under 4 hours. In London she ran 3:09 for the marathon and I tracked her times on the website. 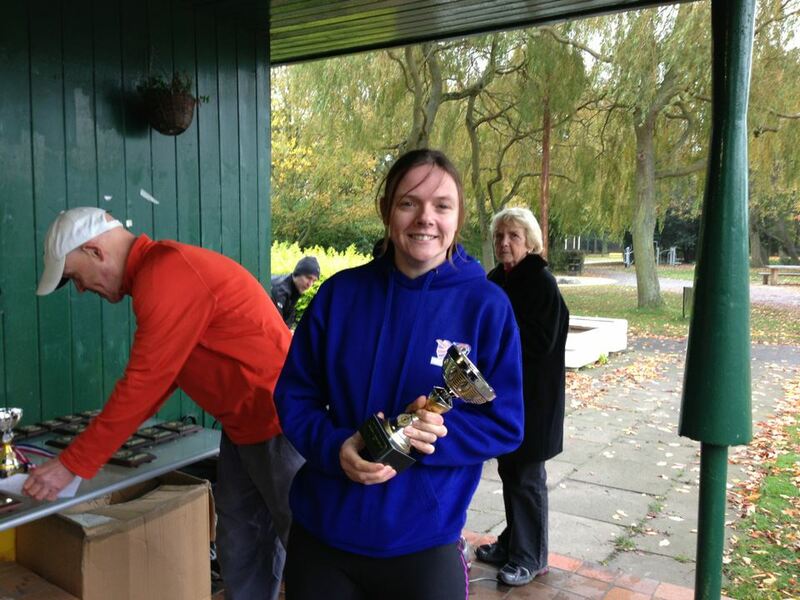 Today, she didn’t beat her best time, but still ran a great race to take the first place ladies trophy. I was very proud to see her do it as she continues to inspire me to believe in myself and go for my own goals. 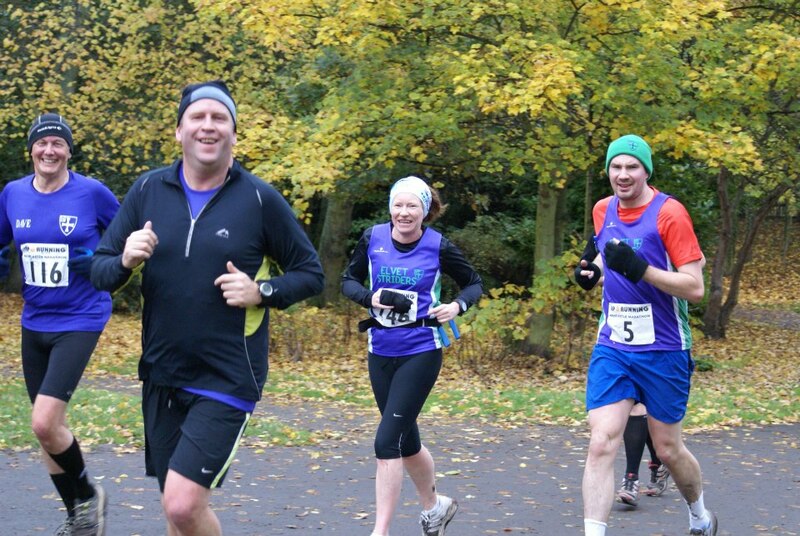 More Town Moor marathon pictures here. If you’d like a high quality copy, please get in touch. At the moment, I’m happy just to continue to recuperate my ankle. There’s still a little bit of swelling, but it doesn’t cause me any problems day to day. I’m building up to running on it gradually, with some run walk sessions and trying to train myself to run more mid foot, rather than hitting the ground with my heel. It’s a good time for me to do this and hopefully it will make me a better runner in future. Next up might be some lighter, more minimal trainers to encourage me to change my running gait, but I’ll go get some advice before I splash out.